Tech needs Art too! 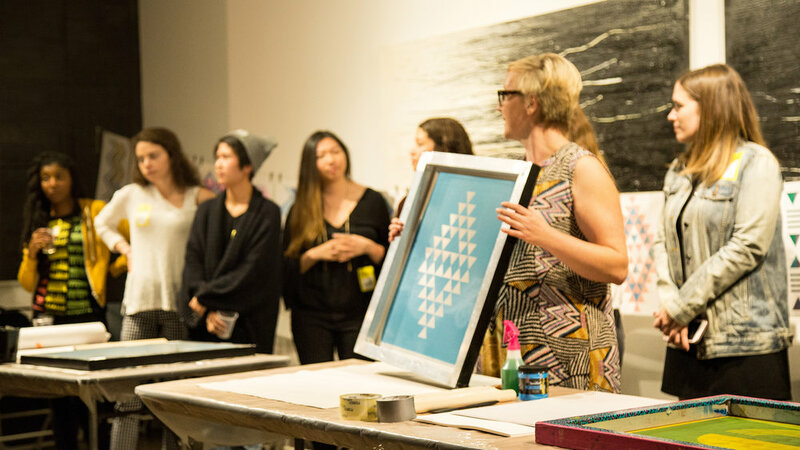 We were excited to share our love of Silkscreen and Art Workshops with a new audience. We partnered with local Mar Vista Art Department and hosted a colorful evening screen printing colorful wall art. 30+ energetic techies joined the fun, working together to create beautiful rainbow prints. Team building and art are always a winning combo!